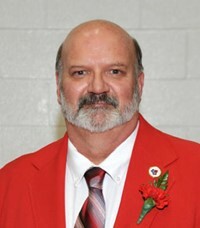 Tom has been serving on the Mapleton Board of Education for several years now. He graduated from Mapleton High School in 1976. Tom lives in Polk with his wife Terri and two children, Tyler and Taylor. Mr. Donley worked at National Latex Products from 1977 until 1978. He then began work at Ries Vending and worked there until 1988. In 1988 he began working at Vendsystems and worked there for six years. In 1994 he worked at AVI Foodsystems until 1996. Tom then began working at F.W. Vending until 1998, when he began work at the Cuyahoga Group, where he is currently employed. 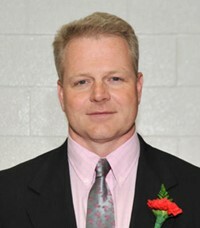 Shawn is a 1992 graduate of Mapleton High School. Shawn and his wife, Christy (Mapleton '92) graduated from Baldwin-Wallace College in 1996. After college, they lived in Lodi, OH for approximately 10 years. In 2006, they decided they wanted to raise their children in the same community that gave them so many cherished memories and moved back into the district. They now have four children; Grace, Collin, Jillian and Anna. Shawn owns a small plastics machinery company which he runs out of their home and Christy works at Ashland University. Shawn is a member of the Park Street Brethren Church. He has had the opportunity to read with Mapleton's kindergarten and first grade classes, help coach youth & jr. high football and elementary boys & girls basketball, & assist with the high school football weightlifting program. ShaNa is a 1992 Mapleton graduate. She then attended NCSC where she graduated with an Associates Degree of Applied Science in Nursing. After receiving her Registered Nursing license, ShaNa worked for two years in the Beachwood area before returning to Ashland and starting a family. She currently is the Director of LSS Lutheran Village Assisted Living in Ashland where she has been employed for over 15 years. ShaNa currently lives in Nova with her husband Jeff and their three sons, Nathan, Dane and Blake. In her free time, ShaNa enjoys traveling, reading, and spending time with her family. Tim was elected to the Mapleton School board in 2016. He has lived in the school district for the past 7 years. 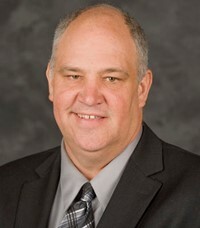 After graduating from Wellington High School in 1984, Tim received his Bachelor of Science degree in Business Administration (specialization Finance) from Bowling Green State University in 1988. After graduation he moved to San Antonio, Texas, then Toledo, and finally back to the local area, where he resides with Michelle and his two daughters, Megan and Breanne. Tim is currently employed as Financial Controller with Weber Properties in Wellington. Tim has served as basketball and softball coach for his daughter at all age levels, and is currently the 8th grade girls basketball coach. "I am excited to serve the community, on their behalf, for the next 4 years, and to make Mapleton area a better place to live. That all starts with the school system". 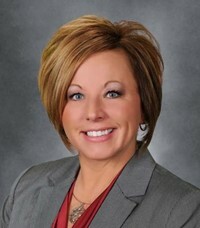 Mindy Scurlock is a 1996 Ashland High School graduate. She then began her career at Brethren Care Village, where she has been employed since 1999. Mindy is currently Director of Housing and Development. Mindy is a 2009 graduate of Leadership Ashland and a 2011 graduate of Lifework Leadership Development Program. She currently serves on the Leadership Ashland Steering Committee and the Ashland County Community Foundation Women's Fund. Mindy has previously served on the Mapleton Music Boosters as an officer, and participated in fundraising and support for the Mapleton Sideliners Club. Mindy has resided in the Mapleton School District since 2000 with her husband, John and children Madison, a 2017 Mapleton graduate, and Gage (2020) a future Mapleton graduate. 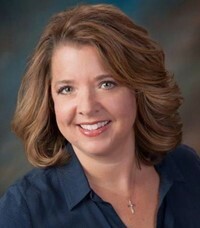 Mindy looks forward to serving the Mapleton community. Shawn was appointed to the Board in the summer of 2011 to fill a vacancy, but then ran for the same Board seat later that year. While there are challenges facing our district, Shawn is proud to be a life-long Mountie, and looks forward to serving our community in the years to come.